Live focused ... any time ... any distance! Duette Multifocals are made of breathable materials to keep your eyes white, bright and healthy. SynergEyes Duette™ Contact Lenses are premium contact lenses that delivers high-performance vision ... even if you have astigmatism! The Duette lenses have a hard contact lens in the center and a soft outer lens skirt. 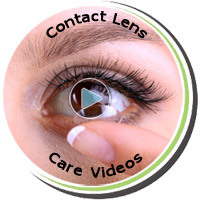 This provides the clearest sharpest vision in a contact lens for all day comfort. The "breathable" center of the Duette contact lens corrects farsightedness, nearsightedness and astigmatism. Get clear, high definition vision - even at night.